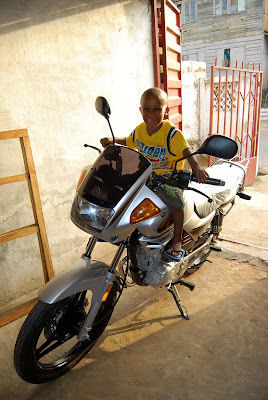 THANKS to all of our supporters and in particularly, a special family's donations, Nazareth House Apostolate has raised enough money to FINALLY buy the motorbike for Pa Foday. 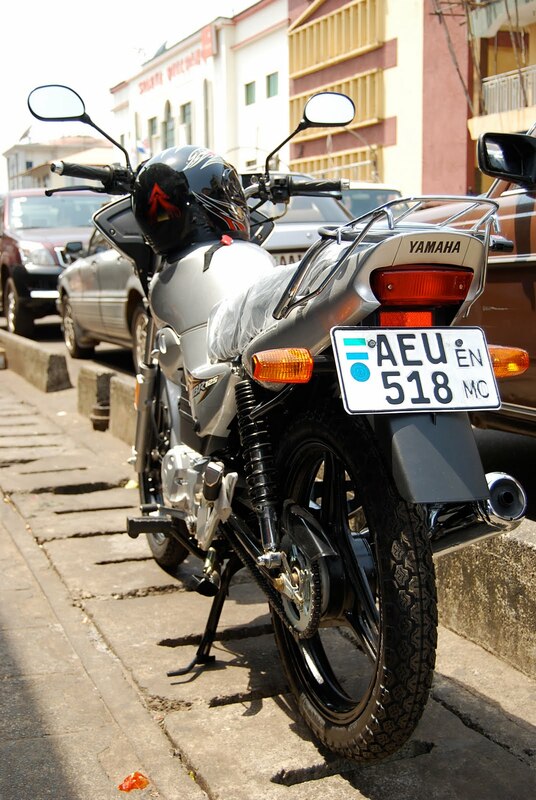 He is en-route to Freetown presently to collect the bike. James has already purchased it and it is waiting for Pa Foday at St. Laurence House. We have tried to raise the money for this bike for many years. It is vitally important to our work in Kabala. Every time we thought we would have the money for the bike, an emergency would come up or something that would intercept the money. However, even in the midst of our urgency to buy the compound, the money has come. Thanks be to God! Now, our House Visit program at the school will be more effectively brought about. Home visitation provides our NHA School staff with personal knowledge of our students home life and well being. It allows us to assess the needs and help the families in areas in which they need attention. If you don't know there is a problem, you can't help to resolve it. This way, we are are aware of our students' every need. This is one of the things so unique and valuable to NHA - personal ongoing relationships. We don't just help someone and run to the next "project". We stay with the person, develop a bond, a relationship and grow together in love and friendship. 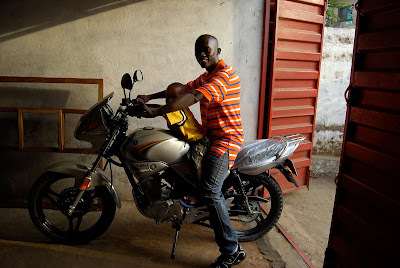 The bike will be used for the Home Visits plus much more, as the roads in the Kabala Villages are traveled easier by motorbike than by foot or even car. Eventually, we must also purchase a 4-wheel drive as hauling 10-12 bags of rice on a motorbike simply will not work. 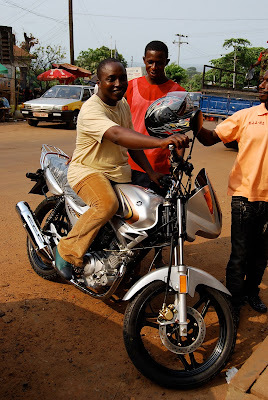 LOL, nor will it provide the supply runs to and from Freetown, but until we can afford the vehicle, this motorbike will assist us greatly in Kabala.